: I updated the situation with talkRADIO’s Julia Hartley-Brewer on Tuesday morning, setting out the stark reality — as we have said for months, it’s No Deal v. a Brexit delay— before UK Prime Minister Theresa May will ask the European Union for only a extension, which the EU may accept as insufficient to prevent a repeat of crisis in June. If you go for only a three-month extension, given the irreconcilable tensions in Parliament over economic arrangements and the Irish backstop, this isn’t going to be enough and we’re probably back in the same position where we were next week — with no options left. The University of Birmingham’s Matt Cole spoke with talkRADIO’s Julia Hartley-Brewer and BBC WM’s Richard Wilford on Monday about another week of political drama before the March 29 Brexit deadline. Cole discusses the Government attempt to convert enough dissenters to push through its Withdrawal Plan at the third time of asking, having twice suffered historic defeats. 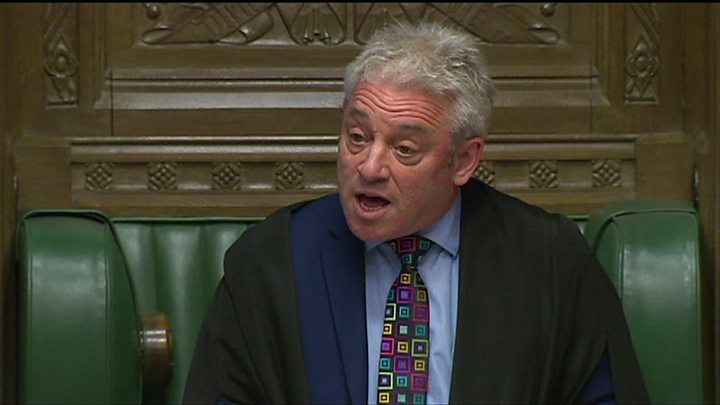 But in an illustration of his caution about the fluid situation, hours after this interview the Speaker of the House of Commons, John Bercow, ruled that the Government cannot submit its Plan without significant chances — effectively stranding Prime Minister Theresa May before she goes to Brussels on Thursday. So Cole updates on BBC WM on the significance of Bercow’s intervention, and how the Government might try to salvage the situation.